What started out as a blog dedicated to Spock, my German Shepherd, evolved in time to a website that is dedicated to all kinds of dog breeds. You’re going to find more than just information on the usual purebred though. 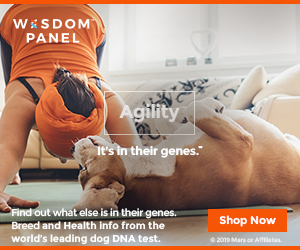 I made it a mission of SpockTheDog.com to give the mixed breeds a push here, the ones that some might call mongrels, mutts or strays. Whether it’s a mixed breed between a poodle and a golden retriever, or any other combination of purebreds, you’re going to be able to read about them below. One of the reasons why I want to give hybrid dogs a chance is because I believe they should get your attention when you’re looking for a new puppy. There are a lot of perfectly nice dogs out there that deserve to be rescued, and as you will learn on this website they can be even better than purebreds, especially if they took the best parts from their parents. A mixed breed dog is simply a dog that has genes from at least two different breeds. His parents aren’t necessarily purebreds, they can just as easily be mixed breeds themselves. The more generations the dog is apart from the original purebreds, the harder it is to figure out what breeds make it up. A dog can be just as intelligent and easy to train if he is a mixed breed, as it would be as a purebred. These dogs can be healthier and more hardy actually. These are the dogs you’re already familiar with, the purebreds that enter shows, that get all the attention and about which people dream about getting at some point. More breeds will be added to the website in time, so keep checking this section if your favorite is still not on it. As you can see above, we’ve separated them into three categories based on size (Small, Medium and Large). This is where you will find regular posts on various dog related topics, from how to take care of your new puppy, to instructions on how to train him and to make sure he grows to be a great dog. It wouldn’t be a real dog website if it didn’t have some puppy pictures once in a while, so we’re offering that as well. In case you’re wondering who Spock is, you can read a bit about him on the About page. It’s my German Shepherd dog, which I named after the Vulcan officer from Star Trek, which also had pointy ears.